Warm up very thoroughly; these hurt a bit. Once warmed up, find a flat to moderately uphill road with no stops for at least a 7-8 minute stretch at high speed. 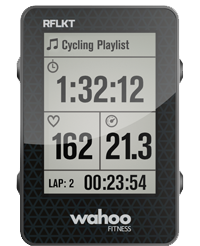 Begin by pedaling 60 seconds at 120+% FTP. Immediately take 60 seconds easy pedaling (Zone 1 - this will feel really easy at this point, in comparison). After 60 seconds Zone 1 go back to 60 seconds at 120+% FTP. Repeat over and over until you have done 5 x 60-second hard efforts. This is the end of the first work set. Spin lightly for 4-5 minutes. Then repeat as above for a second work set of 5 x 60-second intervals. Spin lightly for 4-5 minutes. Then repeat as above for a third work set of 5 x 60-second intervals. Spin lightly to recover for at least 10 minutes.